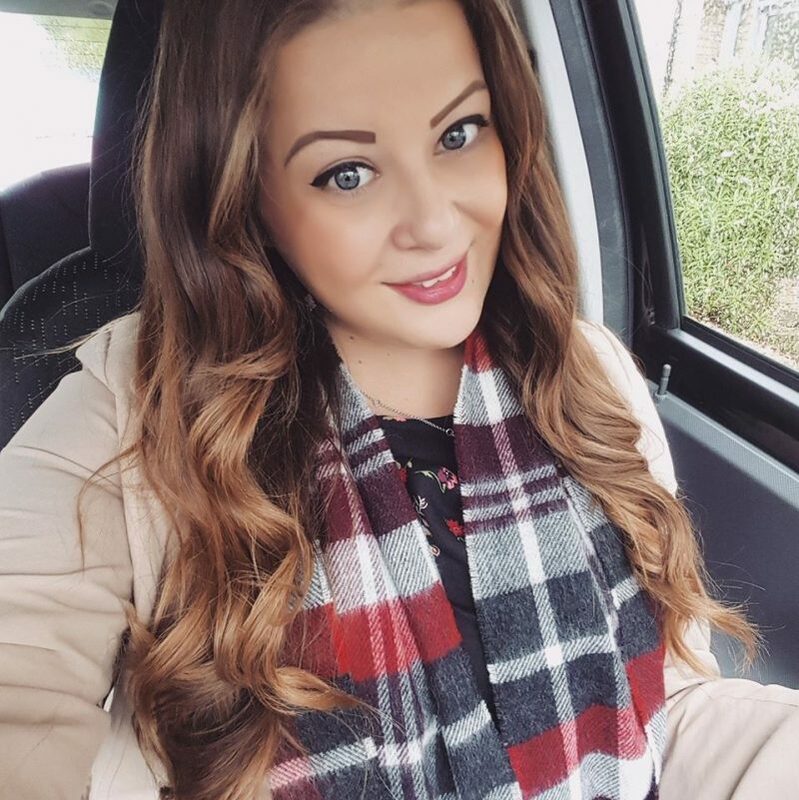 I’m sure lots of you got lovely perfume for Christmas, it’s my favourite gift to receive! There’s so many perfumes available these days, and I do have a lot of favourites, but nothing that I buy over and over. I love to try new perfumes when I run out of out. Recently I got to try a couple of fragrances from Perfumes Club. 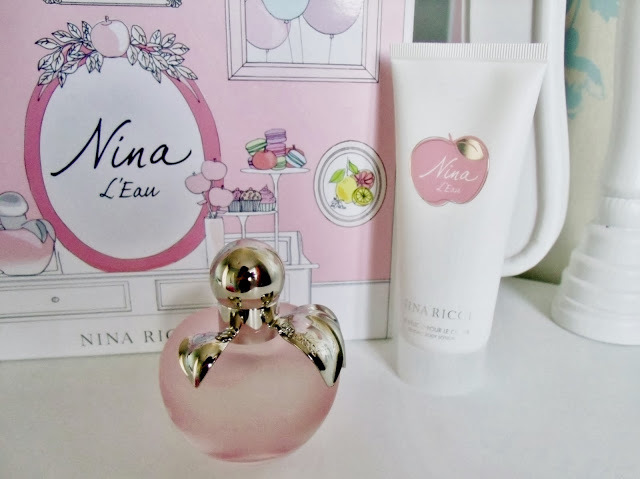 The Nina Ricci Nina L’eau eau de toilette perfume is one my my new favourites. I already had the original Nina perfume from 2006, and this the new take on it, released earlier this year. It has a gorgeous fruity smell, and I absolutely love it. It’s slightly fresher than the original Nina, and maybe not as strong, but it’s definitely very similar. It’s a very light fragrance and perfect for everyday wear. The bottle is in the same beautiful apple shape, but is made from pale pink frosted glass with a silver top. The gift set I received included a 50ml eau de toilette spray, as well as a 100ml body lotion. I love using fragranced body lotions on my arms in the morning! What I especially love about this gift set is the really lovely packaging. 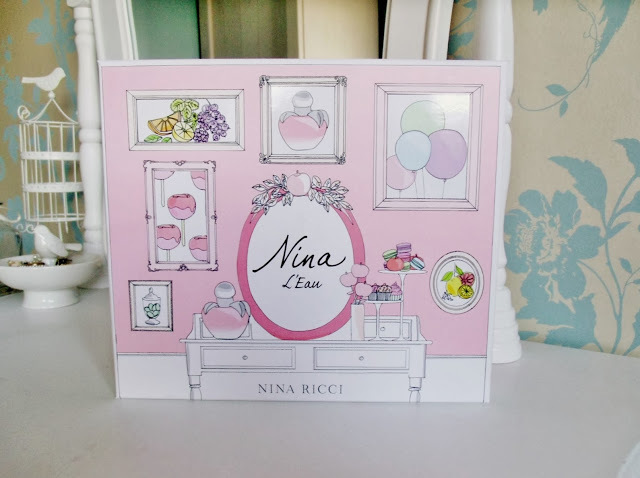 It comes in the sweetest little pink box and has such a pretty dressing table illustration on the front of it in dreamy pastel colours. 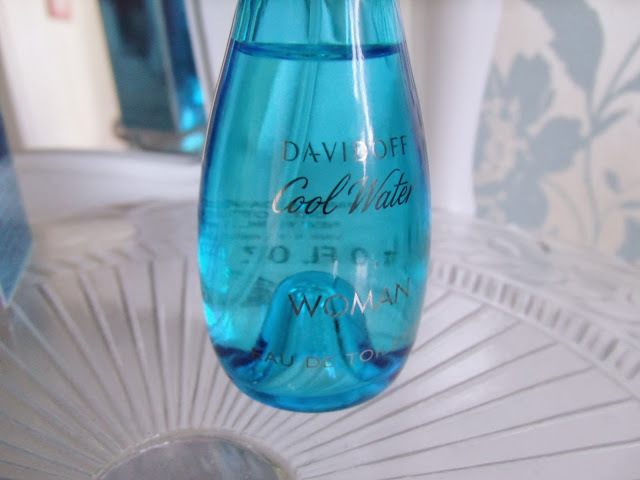 Davidoff Cool Water Woman has been around for a while now, but I’ve only recently had the chance to sample it. 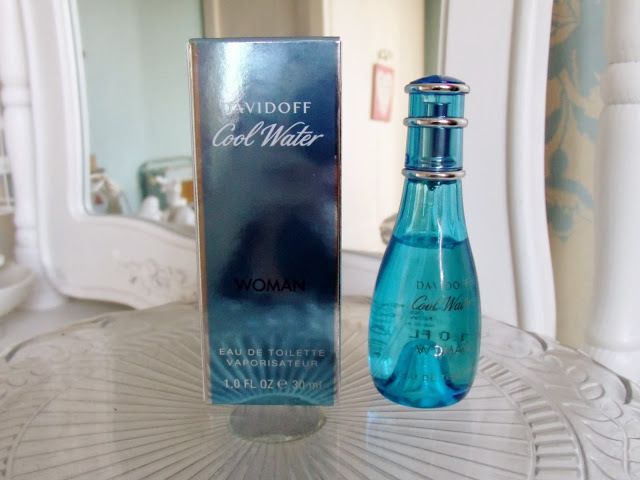 It was launched in 1996 and is a fresh, aquatic fragrance with energising notes of citrus, waterlily and jasmine. This little 30ml bottle is perfect for travelling, and it comes in a simple turquoise blue bottle. It’s another fresh fragrance, which is my favourite type of perfume scent. It’s great for summer time, I think I will be taking this handy little bottle on holiday with me! I love getting perfumes for Christmas. 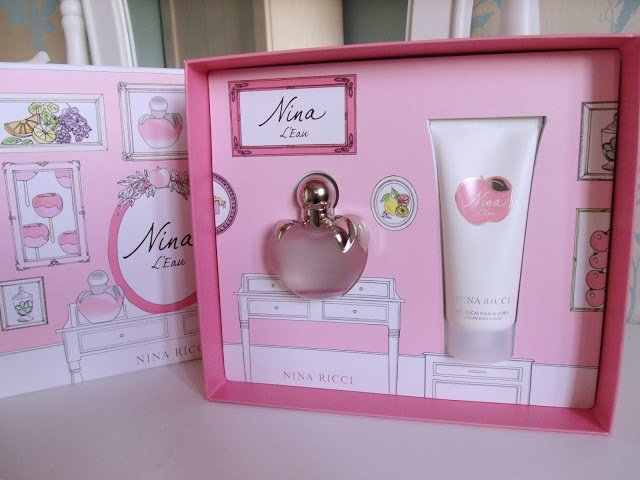 I haven't tried either of these but they both look lovely, the packaging of the Nina one is lovely too!. Hope you had a lovely Christmas.